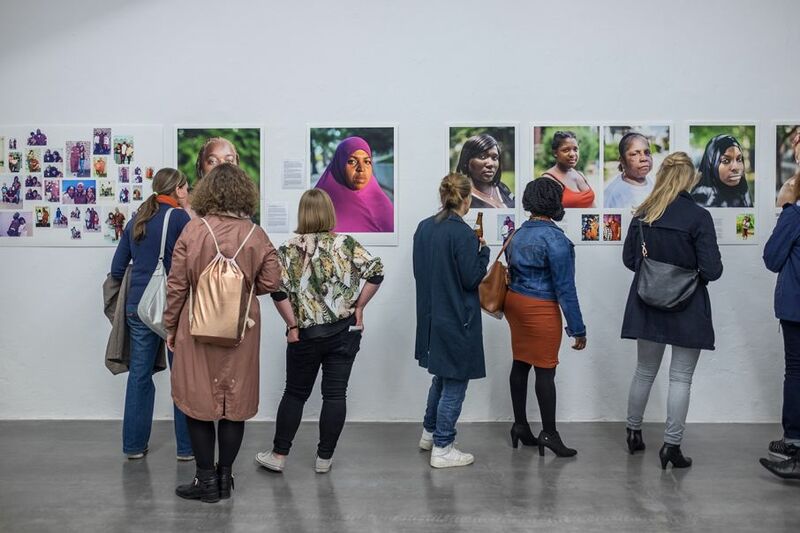 Last weekend of the Fotodoks ME:WE exhibition means opening up the bubbles and once again cheering to Contemporary Documentary Photography and in particular to the wonderful photography that is present in the Lothringer13 Halle. Kind of a farewell festival: In the program you will find royal tunes, layered performance, hot and spicy food for the cool pack, records will spin for a while under valued hands and there will be rare photo books to buy and the Fotodoks catalogue that is now in the same category - rare & special. Food from "Herz & Schnauze"
Once again the super lovely duo will drive there wonderful wagon into the yard and serve Moroccan Vegetable Curry with flatbread (vegan style). will be offered by the Fotodoks team - expected is infotainment in between 61 to 91 minutes. Short Performative Reading and a record set from photogenic Andreas Neumeister. He will present a bite of his wonderful book 'Könnte Köln sein' and it will be read in German. Neumeister takes us on a cruise via photographer Larry Sultan to the West Coast. Jordan was born in the same town as Elvis Presley: Tupelo Mississippi, USA. After years in New Orleans he brought his guitar and his American Folk music to Munich and plays a live set at Lothringer13 Halle. 11.30 am: „Don't Blink – Robert Frank“ , a 2015 documentary movie about and with Robert Frank. Filmmaker and friend Laura Israel followed the now 93 year old/young Robert Frank and talked with him about his rollercoaster life and his energetic photo and movie works. That last weekend will be a good chance to see the ME:WE exhibition with a fresh eye or once again or a third time. And the full crew of Fotodoks will be around for questions, critiques or credit.